In a fixture that historically guarantees quality and quantity on the goalscoring front, Arsenal host Liverpool in the Premier League on Saturday. Both sides have forgotten what losing in the Premier League feels like at this stage of the campaign, with the two teams consequently placed in the division’s top four before this weekend’s action. The Gunners have not lost in their last 13 matches in all competitions under Unai Emery and look a totally different prospect to the often fragile Arsene Wenger sides of old. However, Jurgen Klopp’s side are unbeaten in the league and will be looking to take all three points back to Merseyside in order to keep pace at the top with Manchester City and Chelsea. Clearly, with Emery in his first season as Arsenal boss we cannot read too much into the history between the two sides. 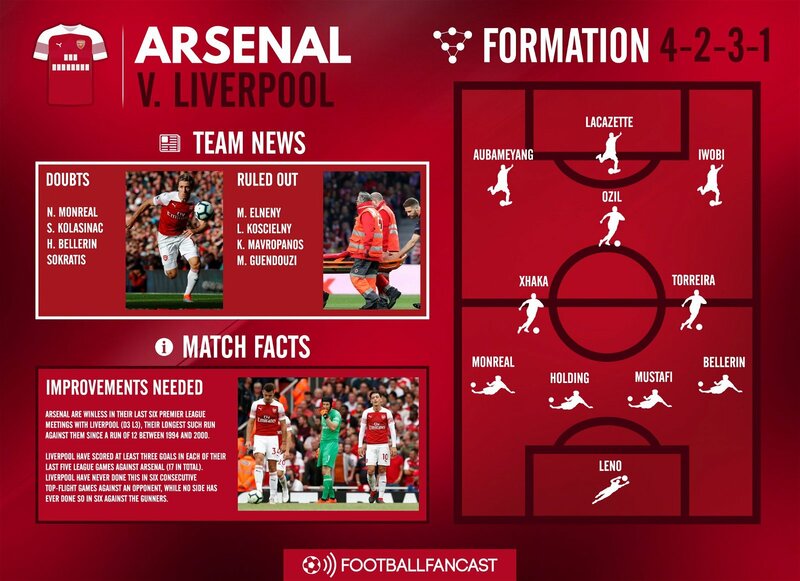 The Gunners will now be much more difficult to break down than Wenger’s sides were, something that clearly played into the hands of the attacking Liverpool sides of the last few years. 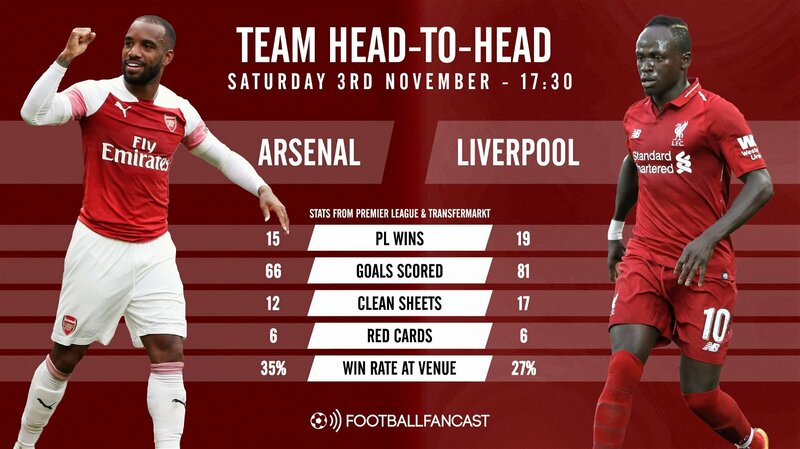 The Reds have 19 Premier League wins in this fixture compared to just 15 for Arsenal, and Saturday’s visitors have also netted 15 more goals than the Gunners. In the previous two league games between the sides at the Emirates though there were 13 goals scored, so we can surely expect an open game. It certainly says something about the quality of a forward player when he nets five goals and provides three assists in his first ten league games of a new season, and people still claim he is out of form. That has been the case with Mohamed Salah this year after his monumental campaign last time out. The Egyptian star though has four goals and two assists in his last three starts, so Arsenal will be fully focused on stopping him getting into his stride. The Liverpool defence will certainly have their hands full too. 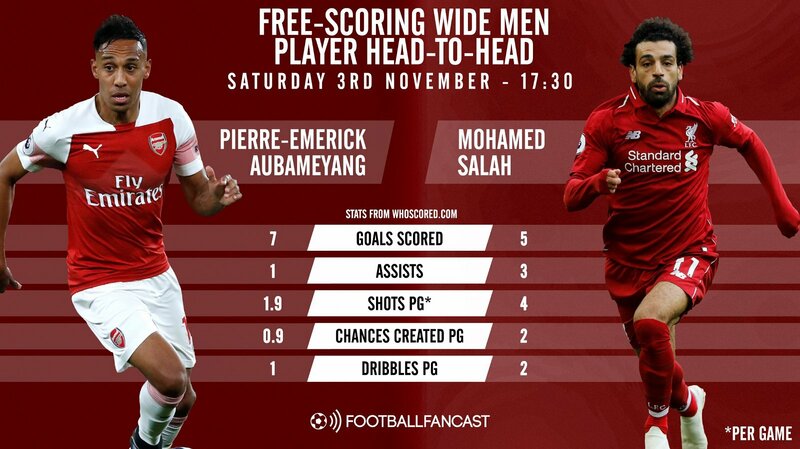 Gabonese international Pierre-Emerick Aubameyang is a clinical finisher and will take almost any chance he is given, which is proved by his tally of seven goals in 10 matches that have come with an average of just 1.9 shots per game. Four of those goals though have come in his two substitute appearances, so it will be interesting to see what he can do from the start against the Reds. The last time Andre Marriner refereed this fixture was in 2011, and if it’s anything like that day then neutral fans are in for a treat. Jamie Carragher’s head injury meant that an excessive amount of added time was played at the end of the game, and Marriner awarded a penalty to Arsenal in the 98th minute which Robin van Persie converted. However, in the 102nd minute of the game the now 47-year-old evened things up with a Liverpool penalty for Dirk Kuyt to level the scores. 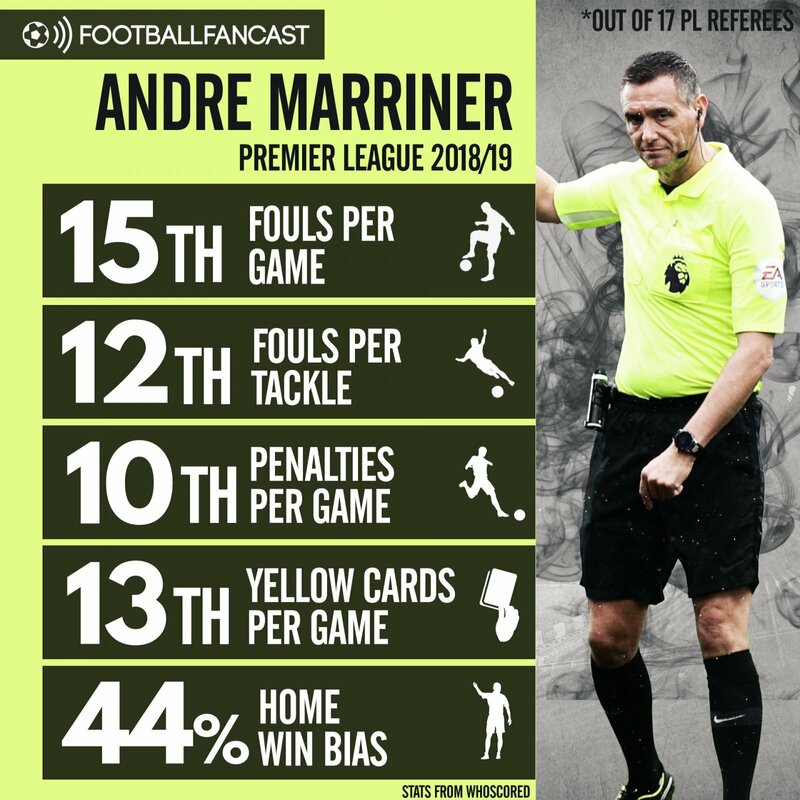 This season Marriner is only 10th out of 17 Premier League referees for penalties awarded per game and 15th for fouls per game, so it should be a free-flowing contest, and his appointment looks to be a good one. One of the main selection headaches for Emery in recent weeks has been at full-back, with Hector Bellerin, Sead Kolasinac and Nacho Monreal all having had time out through injury. According to Premier Injuries though all three will go through late fitness tests before the game against Liverpool and all have a chance of being passed fit. In their absence, Granit Xhaka has been filling in at left-back, but expect the Swiss international to move back into midfield to replace the suspended Matteo Guendouzi, who was sent off in the Carabao Cup win over Blackpool in midweek. Here at Football FanCast we’re also expecting Alex Iwobi to start ahead of Henrikh Mkhitaryan, as the 22-year-old Nigerian international’s hard work and mobility could be necessary to track the marauding runs of Liverpool left-back Andrew Robertson. For Klopp’s side, midfielders Naby Keita and Jordan Henderson are ruled out with injury, meaning the increasingly impressive Fabinho should start just in front of the back four. The Brazilian was signed for £43m from Monaco in the summer and has had to wait patiently for his chance to break into the side, but in recent weeks his incisive forward passing and ability to break play up has made the Reds a far better outfit. 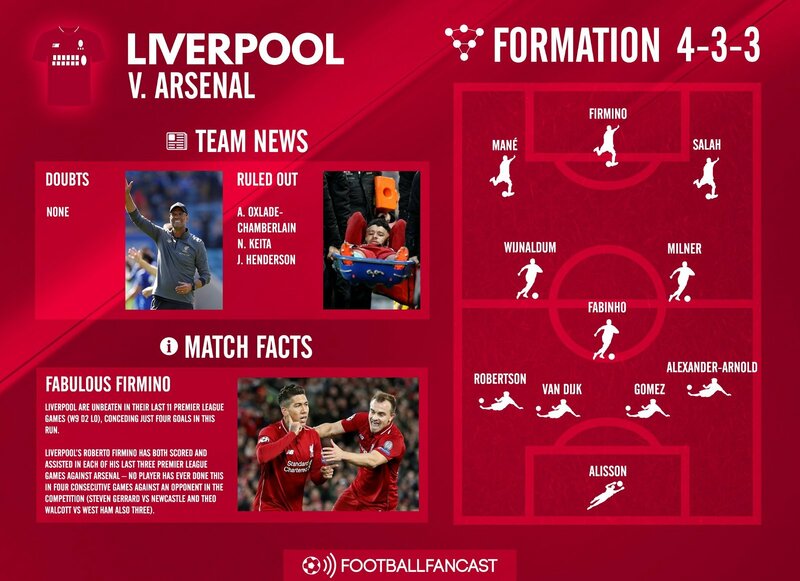 With the front-three picking themselves when fit, Liverpool will surely revert back to a 4-3-3 after playing 4-2-3-1 against Cardiff last weekend. The only other question mark then should be in defence. We’re expecting Joe Gomez and Virgil van Dijk to partner each other once again, with Trent Alexander-Arnold at right-back, giving the Reds plenty of pace to deal with the threat of Aubameyang and Alexandre Lacazette.